​Chris’s diverse experience spans over Multiple Decades and includes roles ranging from Principal and Lead Designer to Field Representative, which contributes to his ability to identify and capitalize on unique design opportunities within the built environment. Chris’ energy, collaborative design approach and passion for embracing the project design imperatives helps foster environments rich in proactive decision making, cross discipline interaction, and joint problem solving to reach creative design solutions within the context of fiscal responsibility. Recognized for tackling complicated, multifaceted design challenges, Chris’s projects range in scope from large 800,000 square foot, $350 million dollar public works projects to technical acute care renovations. 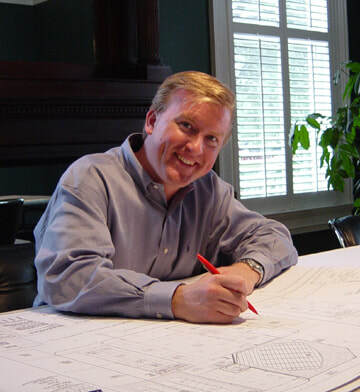 With decades of experience, Chris’s attention to design imperatives and technical knowledge have created innovating environments to the benefit of his projects, clients, and the community. "Nothing in this world can take the place of persistence. Talent will not; nothing is more common than unsuccessful men with talent. Genius will not; unrewarded genius is almost a proverb. Education will not; the world is full of educated derelicts. Persistence and determination alone are omnipotent."